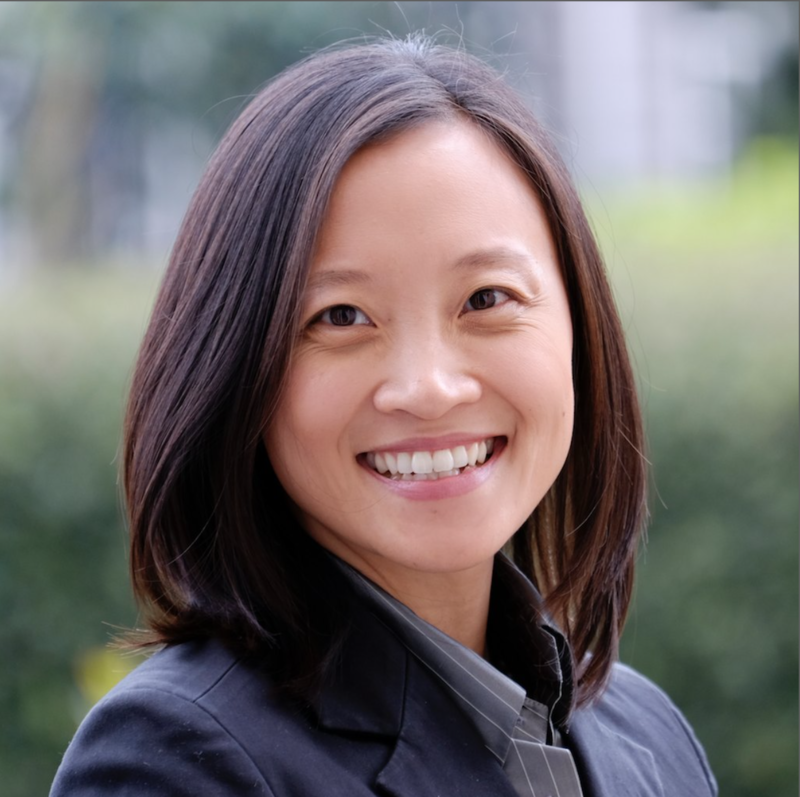 Dr. Kat Lin is a board-certified solo female fertility specialist providing fertility treatment to couples and individuals to fulfill their dreams of having a family, now and in the future. She established the Division of Reproductive Endocrinology and Infertility at University of Washington and with her dedicated, responsible care, was honored to be voted “Best Doctor in the Region” for Infertility and Endocrinology two years in a row. After completing her undergraduate B.S. Degree at Yale University, she received her medical degree at Albert Einstein College of Medicine, followed by her residency in Obstetrics and Gynecology at New York Presbyterian Hospital, Weill Cornell Medical Center. She completed her Fellowship training in Reproductive Endocrinology and Infertility at University of Pennsylvania, and added the clinical Fellowship in Male Infertility to her list of accomplishments at the Center for Male Reproductive Medicine and Microsurgery at New York Presbyterian Hospital, Weill Cornell Medical Center. She is proud to be recognized for her teaching and research, most recently by the Seattle Gynecologic Society for her work with fertility preservation in young cancer patients. She continues to mentor young students and medical professionals and believes wholeheartedly in the lifelong pursuit of bringing cutting-edge information and technology to her patients. Lin K. Update on IVF and cancer risk - what should be telling our patients? American Fertility Association, 2013. Lee AP, Nya-Ngatchou JJ, Roth MY, Lin K, Walsh TJ, Page ST, Matsumoto AM, Bremner WJ, Amory JK, Anawalt BD. Testicular fine needle aspiration for the assessment of intratesticular hormones. Submitted to Journal of Urology. Roth MY, Lin K, Bay K, Amory JK, Anawalt BD, Matsumoto AM, Marck B, Bremner WJ, Page ST. Serum INSL3 is highly correlated with intratesticular testosterone in normal men with acute, experimental gonadotropin deficiency stimulated with low-dose hCG: a randomized-controlled trial. Fertil Steril, 2013 Jan;99(1):132-9. Lin K. The psychosocial yin-yang of infertility: What the infertile male experiences. American Fertility Association , 2012. Wang J, Muller C, Lin K. Optimizing Fertility Preservation for Pre and Post Pubertal Males with Cancer. Seminars in Reproductive Medicine. Submitted 2012 for publication 2013 . Roth MY, Page ST, Lin K, Anawalt BD, Matsumoto AM, Marck B, Bremner WJ, Amory JK. The effect of gonadotropin withdrawal and stimulation with humanchorionic gonadotropin on intratesticular androstenedione and DHEA in normal men. Journal of Clinical Endocrinology and Metabolism, 2011 Apr;96(4):1175-81. Epub 2011 Feb 2. Roth MY, Page ST, Lin K, Anawalt BD, Matsumoto AM, Snyder CN, Marck BT, Bremner WJ, Amory JK. Dose-dependent increase in intratesticular testosterone by very low dose human chorionic gonadotropin in normal men with experimental gonadotropin deficiency. Journal of Clinical Endocrinology and Metabolism 2010; 95(8):3806-13. Roth MY, Lin K, Amory JK, Matsumoto AM, Anawalt BD, Snyder CN, Kalhorn TF, Bremner WJ, Page ST. Direct measurement of intratesticular hormones using testicular aspiration in normal men. Journal of Andrology 2010;31(2):138-45. Ginsberg J, Carlson C, Lin K, Hobbie W, Wigo E, Wu X, Brinster R, Kolon T. An experimental protocol for fertility preservation in prepubertal boys recently diagnosed with cancer: a report of acceptability and safety. Human Reproduction , 2010:25(1):37-41. Molinaro TA, Shaunik A, Lin K, Sammel MD, Barnhart KT. A strict infertility diagnosis has poor agreement with the clinical diagnosis entered into the Society for Assisted Reproductive Technology registry. Fertility and Sterility. 2009;92(6): 2088-90. Ramasamy R, Lin K, Palermo G, Veeck L, Rosenwaks Z, Schlegel PN. High serum FSH levels in men with non-obstructive azoospermia does not affect success of microdissection testicular sperm extraction. Fertility and Sterility. 2009;92(2): 590-3. Rodriguez-Miranda E, Buffone M, Edwards S, Lin K, Ord T, Gerton G, Moss S, Williams C. Extracellular ATP alters motility and improves fertilizing capability of mouse sperm. Biology of Reproduction. 2008;79:164-171. Lin K, Barnhart KT. The Clinical Rationale for Menses-free Contraception. Journal of Women’s Health . 2007;16(8): 1171-80. Lin K, Coutifaris C. In vitro fertilization in the polycystic ovary syndrome patient: an update. Clinical Obstetrics and Gynecology. 2007;50(1):268-76. Lin K, Gracia CR. Fertility Preservation in Cancer Survivors. Expert Review of Obstetrics & Gynecology, 2006;1(2):203-14. Chung K, Coutifaris C, Chalian R, Lin K, Ratcliffe SJ, Castelbaum AJ, Freedman MF, Barnhart KT. Factors influencing adverse perinatal outcomes in pregnancies achieved through use of in vitro fertilization. Fertility and Sterility. 2006;86(6): 1634-41. Chung K, Sammel MD, Coutifaris C, Chalian R, Lin K, Castelbaum AJ, Freedman MF, Barnhart KT. Defining the rise of serum HCG in viable pregnancies achieved through use of IVF. Human Reproduction. 2006;21(3):823-8. Neri QV, Takeuchi T, Kang HJ, Lin K, Wang A, Palermo GD. Genetic Assessment and Development of Children that Result from ART. Clinical Obstetrics and Gynecology. 2006;49(1):134-7. Barnhart KT, Timbers K, Pretorius ES, L in K, Shaunik A. In vivo assessment of NuvaRing placement. Contraception. 2005;72(3):196-9. Roberts JE, Spandorfer S, Fasouliotis SJ, Lin K, Rosenwaks Z. Spontaneous ovarian hyperstimulation caused by a follicle-stimulating hormone-secreting pituitary adenoma. Fertil Steril. 2005;83(1):208-10. Lin K, Runowicz C. "The Wisdom of Hormone Replacement Therapy in Survivors of Ovarian and Endometrial Cancer." The Surgical Clinics of North America. 2001;81(4):987-93. Lin K, Runowicz C. "Should we offer HRT to ovarian and endometrial cancer survivors?" Contemporary Ob/Gyn. 2001;46(9):31-43.